It feels familiar and unpretentious. It would be the perfect little hole in the wall if only it weren’t so charming. Without further ado, let me introduce you to Shanna Key Irish Pub on the corner of Bertha and Flagler Streets. “Treat everyone like you’re cooking for your best friend,” Chef Wayne Keller tells me. It’s exactly how you’ll feel after a few minutes as a customer. If you’re reading this and you’re a tourist, then there’s a good chance you’ve never heard of this place. If you’re a local, you might know about Chef Keller and his kitchen skills. He was the culinary mastermind behind the late Finnegan’s Wake for 18 years and is responsible for a lot of the dishes that are reminisced about to this day (teriyaki chicken wings, for example, and the mac and cheese). The only difference is that Shanna Key is a bit further up the island and isn’t as easy to find as, let’s say, the other Irish bar. Shanna Key is the Key West version of Cheers, with lived-in, casual decor and a laid-back attitude. It is also known for its food. 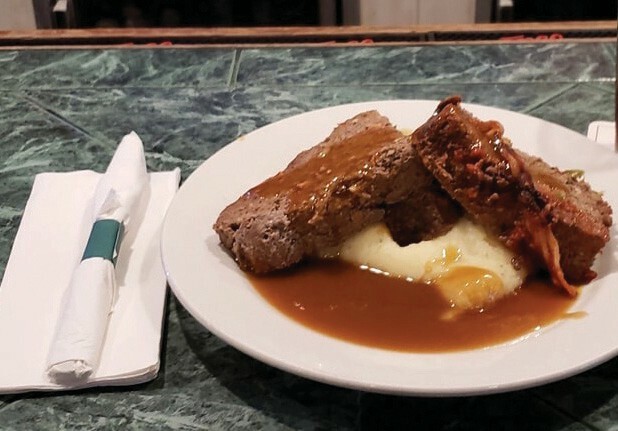 Owner Barry Geary, who grew up in Cork, Ireland, opened 14 years ago with a menu that reflected his heritage and included the usual suspects: shepherd’s pie, corned beef and cabbage, and gourmet snacks such as fried cheese curds and Rueben egg rolls (which are both a steal at $6 a plate). Top sellers include, as one might easily guess, the delicate, crispy fish and chips and the creamy potato leek soup. Others opt for the all-day breakfast fry-up complete with black and white pudding, imported sausage and bacon, grilled tomato, home fries, fried eggs and baked beans. Along with an HP sauce and Guinness-spiked bloody Mary, this meal is like a warm hug from someone you love after a long night out on the town. “Barry has always been especially particular about Irish breakfast,” Keller shares. With Barry’s blessing to be as creative as he was at Finnegan’s Wake (where his career averaged him roughly 220 specials a year), Keller is also able to offer daily specials that sometimes sell out long before the night is done. The Tina’s Tuna dish (seared fresh tuna over spinach, locally sourced micro-greens, avocado, tomato and soy-infused cabbage dressed in a ginger wasabi vinaigrette) is one of them. So is the Irish Dip (hand-carved ribeye in a Guinness au jus served alongside roasted potatoes with horseradish sour cream). “And there’s the Hot Banana, literally a bastardized version of a bananas foster that is made to order” Keller adds. So why don’t some locals know that the food that they’ve been missing has been right under their nose all along? Why don’t some tourists know this place is one of the last remaining offthe beaten-path hideouts? To start, it could be that getting here from Duval Street requires pedaling a bike or riding in a taxi for 2 miles. It could also be that the loyal regulars would rather keep it their little secret. We recommend you make a point to get to Shanna Key, where you’ll be rewarded with an experience you can’t get anywhere else on the island. “I like seeing a lot of the same faces and putting smiles on the faces,” Keller says. Shanna Key Irish Pub is open daily from 11 a.m. to 4 a.m. and serves a full menu until midnight that includes vegan and gluten-free options. Mondays feature Mexican-inspired fare, and Tuesdays mean the Thanksgiving style turkey platter.